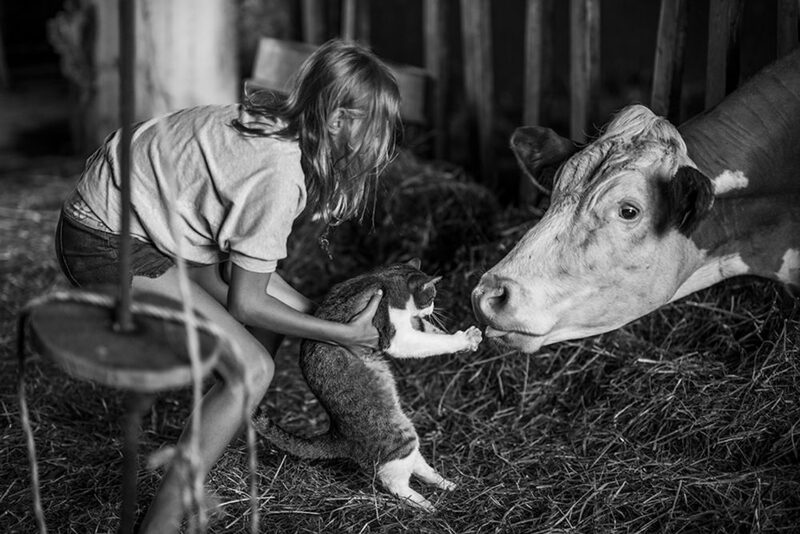 In 2012, photographer Carla Kogelman was commissioned by Szene Bunte Wähne, a youth theater festival in Austria, to make a documentary about the rural Waldviertel region. She ended up in Merkenbrechts, a small village of 170 inhabitants, where she met Hannah and Alena, two sisters who spend much of their time together in a carefree life of swimming, playing outdoors, and engrossed in games around the house. Kogelman photographed them in black and white, and has continued to do so, along with their families, friends and surroundings. 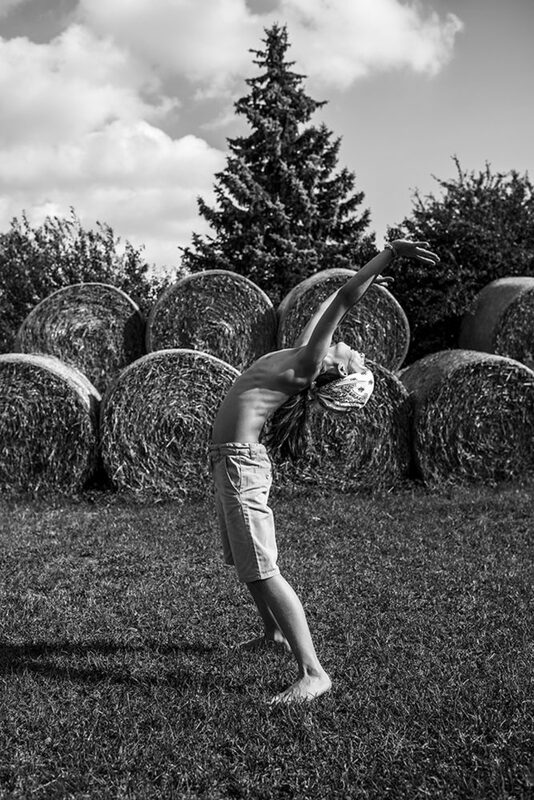 Much of the imagery found in I am Waldviertel shows children responding to the rural nature of their existence; an Austrian Neverland where no prescribed schedule is set for the day. 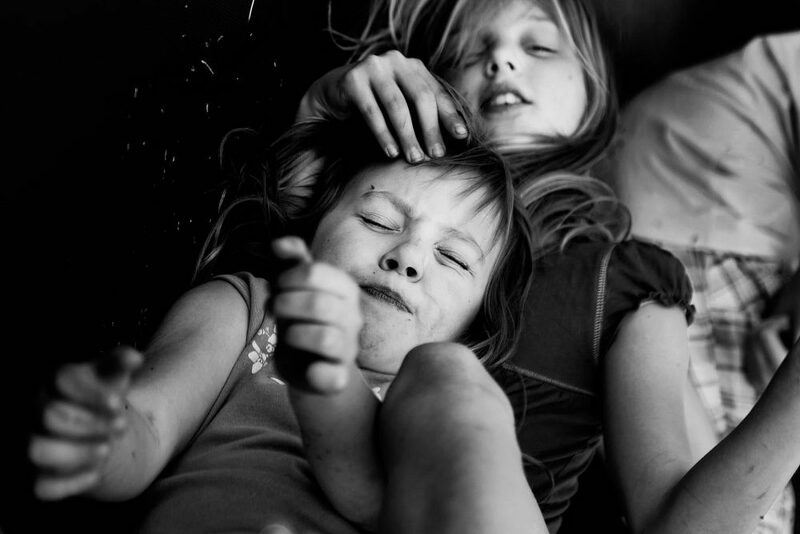 There is a cast of over one dozen children in the project, but the main focus of the book is on Hannah and Alena. 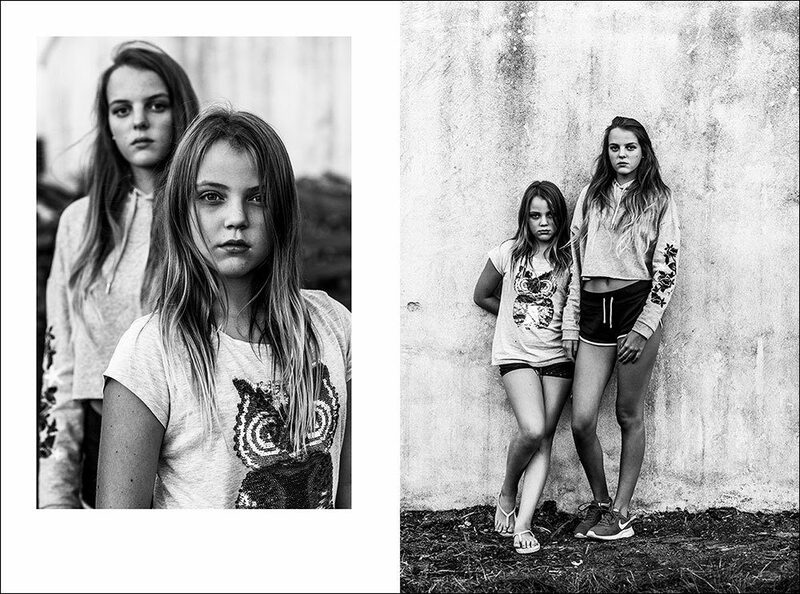 The children, and these two girls, mature in front of Kogelman’s lens over a period of six years. 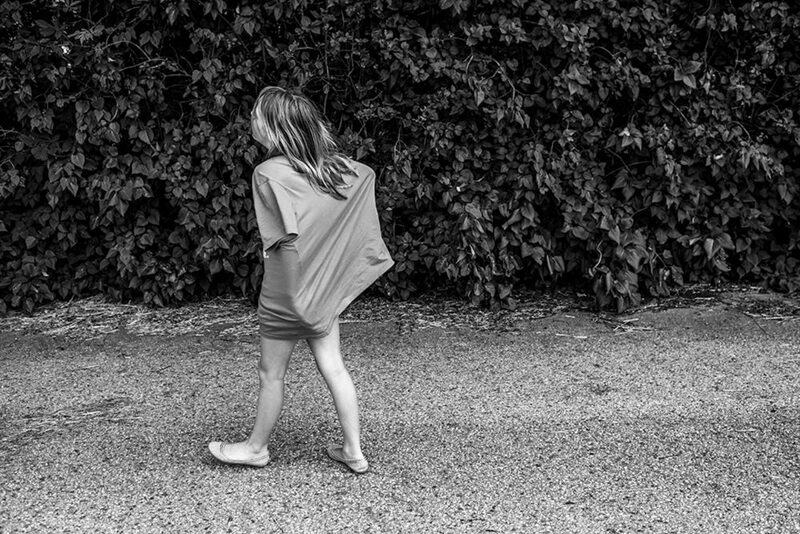 The project started out as a request to document a youth festival, and grew into a long-form visual storytelling project which shares the formative lives of children whose childhood, adolescence, and young adulthood are encased in a quasi-family album. The book is touching in its honesty, frankness, and ability to show us the lives of children in a community and family setting that is direct and intimate. Kogelman’s project and efforts in documenting these lives, let alone being accepted into the community of families in Merkenbrechts, is a testament to immersive photographic projects. 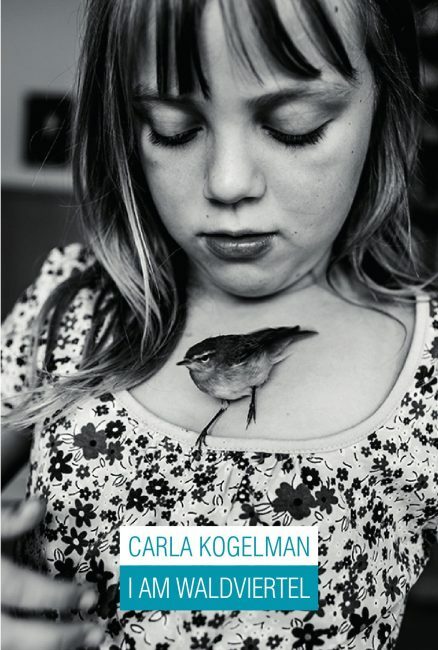 Dutch photographer, Carla Kogelman (b. 1961) has worked in the theatre industry for 25 years. 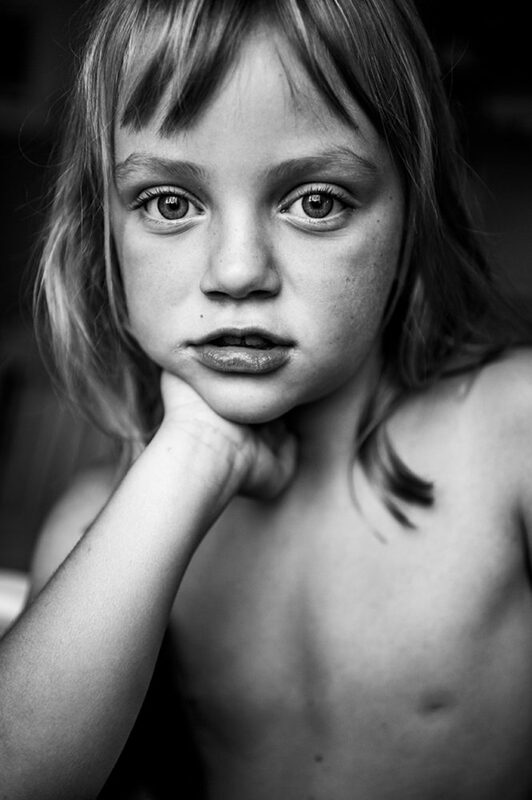 In December 2011 she graduated from the Foto Academie Amsterdam. She won 1st Prize at the Zilveren Camera 2011 with a portrait series of actors backstage. 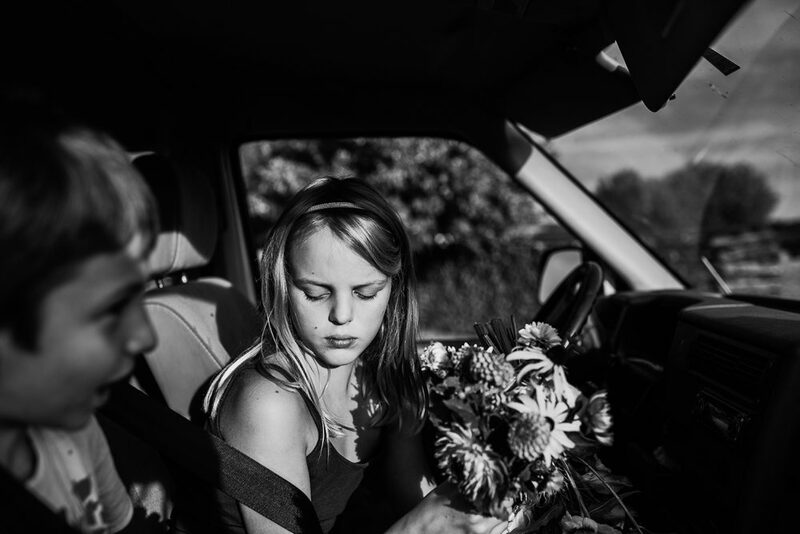 In 2014, she won several prizes for the series Ich Bin Waldviertel: 1st Prize in the category Observed Portraits in the 2014 World Press Photo Awards, the Cortona on the Move 2014 Happiness Award, the PF Portfolio and the Alfred Fried Award.